Adventure Series from my Charge is a line of rugged, durable power banks that can stand up to extreme conditions, like drops, dirt, and water splashes. Each device has a tough, protective exterior, a carabiner clip for easy travel, and varying levels of power capacity to fit all of your adventure needs. Take one camping, mountain climbing, and even out boating, to power all of your electronic essentials anywhere in the world. Mage’s Initiation: Reign of the Elements, from Himalaya Studios, is an old-school RPG/Adventure game. Set in the fantasy realm of Iginor, you play as D’arc, a soon-to-be Mage who is about to take his final steps to becoming a fully initiated magic user. When a sinister plot emerges that could disrupt D’arc’s future, can you stop the coming tide of darkness before chaos rules the world? Dr. Scholl’s Custom Contour 3D Printed Inserts are comfortable, supportive insoles, specifically created to fit your unique feet, from images that you take with your phone, using the free companion scanning app. By using scans of your actual feet, you can be sure to get a product that is a perfect fit for the individual size and shape of your feet. You can even customize the color and pattern of your new inserts. Kangaroo Motion Sensor is an easy to install, affordable home security monitor, with an easy-to-use connected app. It makes home security accessible to people of all income levels, without expensive monthly subscriptions, or initial set-up costs. Through the companion app, you can monitor the device on your own for free, or add a professional monitoring plan at a very low cost. Luci Connect is the new smart solar lantern from MPOWERD. They’ve been making inflatable, solar charged, LED lanterns for a few years now, but this is the first one with a companion app. Inside the translucent, inflatable body, which gently diffuses and distributes the light, there are 36 adjustable LEDs, which you can control through the mobile app, allowing you to customize their brightness and color with a few taps. Little Dragons Café, from Aksys Games, is an adorable harvesting quest game, with the added fun of raising a pet dragon from an egg. The hand-drawn look of the graphics is very charming, and the gameplay is super casual, with no violence or heavy conflict. Leisurely explore the lovely world around your café, harvest ingredients for your meals, cook some recipes for your customers, and feed and play with your dragon. The Conjuring House, from RYM Games, is a horror survival game, which takes you into the world of The Conjuring franchise. Trapped inside the creepy Atkinson house, you must find a way to escape the murderous, demonic woman who prowls the halls. Shadows loom, growls echo, and you never know when your fears will become reality and start chasing you through the house. Run and escape, or be caught and die. Lamplight City, the new, retro-pixelated detective adventure from Grundislav Games, puts you in the well-worn shoes of a hardened Victorian private investigator, Miles Fordham. Guilt-ridden over the death of your partner, Bill, and disgraced after being fired from the police, you must endeavor to find the criminal responsible for your losses, while simultaneously solving a string of seemingly random crimes. Tiny Hands Adventure is a cute new 3D platformer game, from Funware and Blue Sunset Games. Help the adorable little T-Rex, Borti, as he runs, jumps, and battles his way through lanscapes filled with all sorts of obstacles. His ultimate goal is to find ways to enhance his short T-Rex arms with cool tools, to make them a more useful length. If he can beat all of the challenges set before him, he’ll achieve his long-armed dreams. Unavowed is an urban fantasy adventure, from Wadjet Eye, available on Steam. The retro, hand-drawn graphic style, and conversation-rich game-play, harken back to the heyday of classic adventure games. It delivers on nostalgia, as well as providing an intriguing storyline, complex characters, and witty dialogue, all set in a dark and gritty New York City, overrun by demons and ghosts. Disney Heroes: Battle Mode is an incredibly fun 5-on-5 team battle and RPG game, starring a bunch of your favorite Disney and Pixar characters. A mysterious virus has infected the game world, creating glitching, evil versions of each character. Starting with just Ralph and Vanelope, you’ll need to form an increasingly powerful squad of Heroes in order to fight back this virus and clear it from all areas of the game world. Adventure Escape: Haunted Hunt, from Haiku Games, is an entertaining and challenging adventure game, where you have to make your way through a Victorian mansion, room by room, exploring each environment to find secret codes, useful items, and keys to unlock the door to the next room. It’s a mobile version of the classic point-and-click style adventure game, combined with elements of an escape room title. Meow Match, from Ember Entertainment, is a mobile Match-3 game, featuring a bunch of adorable kittens to collect, and a handful of cat-friendly environments to decorate. Your Aunt Belinda’s back yard is a bit run down, and her herd of cats has wandered off to greener pastures. You’ll need to spruce the place up, with the help of her most loyal kitty, Cosmo, and lure the other cats back home. PortraitPro 17 is the newest version of Anthropics Technology‘s top-notch photo editing software. Specifically designed for portrait retouching, it puts an impressive number of editing tools at your fingertips. The controls are so user-friendly that even complete retouching novices will find themselves editing their own photos like a pro in no time, while experienced editors will love the variety, and specificity of tools. Harry Potter: Hogwarts Mystery, from Jam City and Portkey Games is a magical adventure for iOS and Android. It takes place 7 years before Harry comes to Hogwarts, and lands you right at the start of your 1st year as a Hogwarts student. You’ll need to make some friends and allies, complete various lessons and classes, and navigate the trials and tribulations of student life. Explore the familiar grounds of Hogwarts, and meet beloved characters from the movies. The House of Da Vinci, from Blue Brain Games, is a beautifully rendered 3D puzzle game, recently launched on Steam. It’s set in 1506 Florence, at the height of the Renaissance, in the network of connected, secret chambers of Leonardo Da Vinci’s library and workshop, and is more of an intricate, multi-environment, 3D escape room, than the traditional point-and-click adventure game that it looks like. Omron Avail is a wireless, dual channel TENS unit, which uses a targeted electrical current to safely and conveniently ease chronic and acute pain. The 2 Bluetooth devices connect to the Omron TENS app, and provide the user with total control of their electrotherapy sessions. This consumer device is available without the need to visit a doctor, making fast and easy, drug-free pain relief accessible to anyone. Shleep, is a personalized sleep assistant app that will help you focus on your individual sleep needs, and learn to improve your quality of sleep and bedtime habits. Through text and video lessons, each sleep training program will take you step-by-step through your snooze improvement process. If you need further assistance, you can even contact their sleep experts directly, to get some one-on-one guidance. Rowkin’s Bit Charge Stereo Earbuds are a set of wireless earbuds, with a long lasting portable charging dock. They’re comfortable, really light weight, and perfect for the on-the-go music lover. The sound quality and noise cancellation are great, and they’re stylish too. Once nestled snuggly in the ear, they’ll stay securely in place, making them great earbuds for runners, or anyone with an active lifestyle. ThinOPTICS is a brand of light, thin, ultra durable, stemless reading glasses, with innovative carrying cases, for the on-the-go, far-sighted individual. Designed to travel in tandem with your mobile device, they’ll always be at your fingertips, so you’ll never have to search for your reading glasses again. The cases are almost as thin as the glasses, and are meant to be attached to the back of your phone, tablet, laptop. Rocketbook is a line of connected notebooks, the Wave, Everlast, Color, and One, that allow you to quickly, and easily scan and archive your notes and drawings, just by using the convenient Rocketbook app. Never fiddle with a flatbed scanner again, or spend ages sharing individual photos from you phone camera to your email, Dropbox, or other apps. Rocketbook does it all for you. Jolt, from Tough Tested, is an all-in-one flashlight, jump starter, and mobile power bank. You’ll never be stranded with a drained car battery again, because you’ll carry up to 10 jumps worth of power right in your car. The flashlight body can be used as a glass breaker in emergencies, and you can charge your cell phone and tablet too. Conarium is an eerie, engrossing, psychological thriller, from Iceberg Interactive and Zoetrope Interactive. It’s set in an abandoned Antarctic research base, which hides some dark and dangerous secrets beneath its facade of science. This reality-bending game pays tribute to the much-loved works of H.P. Lovecraft, and is the perfect game to download just in time for Halloween. Middle-earth: Shadow of War is a free-to-play mobile variant of the PC/console game of the same name, by Warner Bros. International Enterprises. The mobile title is your standard hero collection, team building, arena battle game, with some light RPG elements. If follows the same basic story concept as the console version, so it could be either a companion app to the console game, or a stand alone experience. Angry Birds Evolution, and Angry Birds Match, are both super adorable and incredibly addictive new apps in the Angry Birds franchise, created this year by Rovio Entertainment. Angry Birds Evolution combines the classic Angry Birds physics mechanics along with turn based, arena style combat. Angry Birds Match is, as the title implies, a match-3 style puzzle game, with a tie in to the recent movie with the very cute Hatchlings. Cherry MX Board Silent is a durable mechanical keyboard, from Cherry, a German company that makes the best mechanical keyboard switches on the market. The Cherry MX Board Silent uses a brand-new type of Cherry mechanical switch that reduces the sound of the audible clicks while at the same time retaining the mechanical keyboard’s precision responsiveness. Futurama: Worlds of Tomorrow, from Jam City’s TinyCo and FoxNext Games, is a fun game app that brings together several game genres, all wrapped in the cool, quirkiness of the Futurama cartoon world. This game is equal parts city building, choose-your-own-adventure story, arcade style combat, and space exploration. Pirates of the Caribbean: Tides of War is a fun new city building style mobile game, from Joycity and Disney, available for free for both iOS and Android. I’m not typically a huge fan of the city building genre, but for some reason, adding in the Pirates element makes this game so much more enjoyable than the usual farmers, medieval knights, or cavemen clans do in other titles. Endless Mission One is the “people’s computer,” designed for the masses around the world, in a small package at a small price ($249). This powerful little computer provides everything you need. It will connect you to the Internet, provide word proceesing, spreadsheet, and other basic office functionality, connect to streaming media, view and organize your digital photos, play your favorite music, provide excellent educational applications, and surprise you with games and puzzles to occupy you for hours on end. The Wacom Mobile Studio Pro is the newest addition to Wacom’s line of professional grade pen display devices, geared towards graphic artists. It’s a full Windows 10 tablet PC, with pen and touch screen capability, high quality display and internal components, and compatibility with all the top artistic software. The IQ+ Move is a gorgeous new line of men’s and women’s watches, from Timex, a trusted name in quality timepieces for 160 years. These new models are not only stylish analog watches, like the world has come to expect from Timex, they also seamlessly house fitness tracking technology discretely inside. 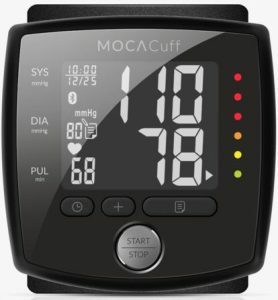 MOCACare February is Heart Health Month, a time for us all to take stock of our cardiovascular systems, and make sure they’re in tip-top shape, and MOCACare has a very user-friendly device to do just that, the MOCACuff blood pressure monitor, which fits comfortably around your wrist and gives you accurate results in moments. Speck Phone Cases You may have noticed that I’ve written about Speck products several times in the past. This is because all their products are consistently high quality, stylish, and all around pretty cool. Barrow Hill: The Dark Path 10 years ago, the point-and-click adventure thriller, Barrow Hill: Curse of the Ancient Circle, gave us a chilling story of missing locals, pagan rituals, and a mysterious force living inside an ancient stone circle in Cornwall. 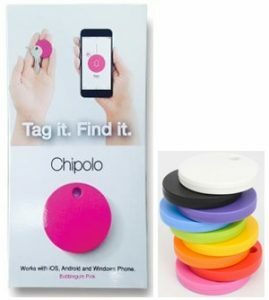 Chipolo Bluetooth Tracker Are you always losing things, maybe mislaying your keys at home, or leaving your phone in the restroom at work? Wouldn’t you love to have a device that could easily help you find your things again? iRig Acoustic Mic and AmpliTube Acoustic App I love listening to music. Who doesn’t? Whether it’s rock, folk, or jazz, on the radio, a CD, or at a live venue, music is one of the great pleasures of life. Pendulumic Tach T1 Wireless Headphones A couple months ago, I reported on some great high-end technology that I discovered at the Luxury Technology Show in Los Angeles. Pendulumic, the maker of some beautiful, high-fidelity, wireless headphones was one the companies present. Pop! Slots PlayStudios, the makers of myVegas, a slot machine game for Facebook and mobile, has added another great mobile game app to their lineup. POP! Slots, a free to download app, continues the virtual slot machine fun of the myVegas games, while adding new and exciting community elements and slot titles. 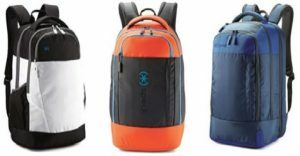 Speck Laptop Backpacks Speck has been one of my favorite case companies for several years, with stunning cases for a variety of phone and tablet models, as well as larger bags for other devices. Their designs are always both durable and aesthetically interesting. Doctor Who Bluetooth Speakers Massive Audio has come out with an exciting series of Bluetooth speakers that are absolute must haves for any Doctor Who fans worthy of calling themselves Whovians. Get ready to exterminate boredom and materialize some out of this world sound! Minions Paradise I love Minions!!! 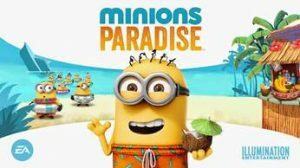 My newest way of enjoying these adorable little yellow creatures is with the mobile game, Minions Paradise, from Illumination Entertainment and EA Games.